Today on this packed Wednesday Bucky & Sully Show brought you ALL around the sports landscape in our “Headlines”! Obviously we discussed the Super Bowl which saw the New England Patriots win their 6th Super Bowl in the Brady-Belichick Era and some more of the celebration coming out of New England. 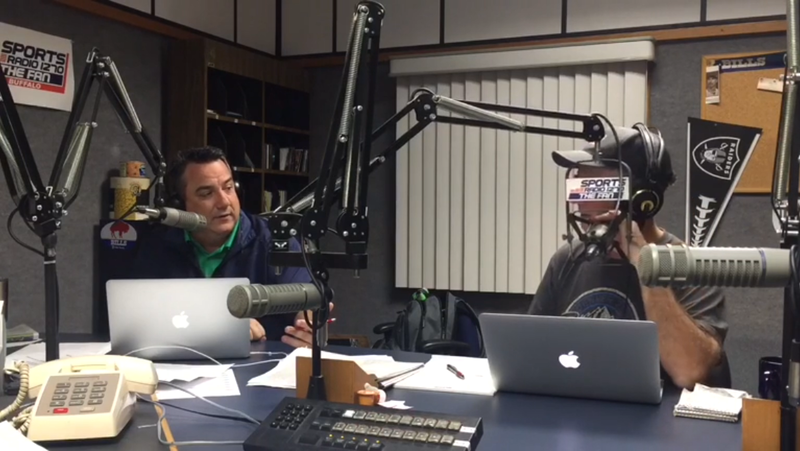 We got into some discussion revolving around the Sabres and the NBA trade deadline! With the NBA trade deadline looming tomorrow, we had Larry Holder of NOLA Athletic in to talk Anthony Davis rumors as well as what has been offered by the Lakers and other teams that are interested. We also had a chance to ask him about the temperature in New Orleans with all that is happening. We also had a chance to get around the NHL and divulge where we think the Sabres are headed as they continue on their 7 game home stand. What else was on our minds? We let you know as we got a ‘Sports Hit’ and some reaction from the guys on the stories. We also were joined by Villa Maria Basketball HC Don Silveri to talk his programs success this season as well as what is on the docket for the team moving forward. HOUR 1:OPEN, POLL, talking Sabres over Wild , ThermoSTATS. HOUR 2: BUCK UP! Did infact take place! Larry Holder of NOLA Athletic. We also talked Sabres and heard some post game audio. HOUR 3: SALTY SULLY, very very Salty, he kicked off the hour. Villa Maria Head Coach Don Silveri, Poll wrap up, ,SHOUTOTUS closed out the show!